Deciduous tree. 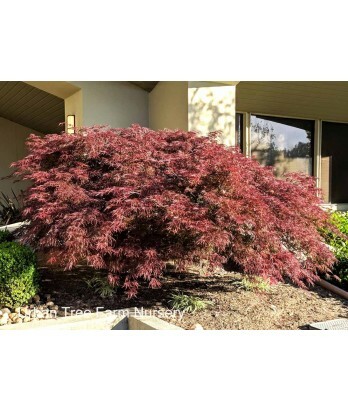 Slow growing but vigorous for a Japanese maple. Weeping habit. Red lace-leaf foliage holds color well through summer and turns brilliant crimson in fall. Moderate to regular water needs in well-drained soil once established.